Travel time reliability is a fundamental factor in travel behavior. It represents the temporal uncertainty experienced by users in their movement between any two nodes in a network. The importance of the time reliability depends on the penalties incurred by the users. 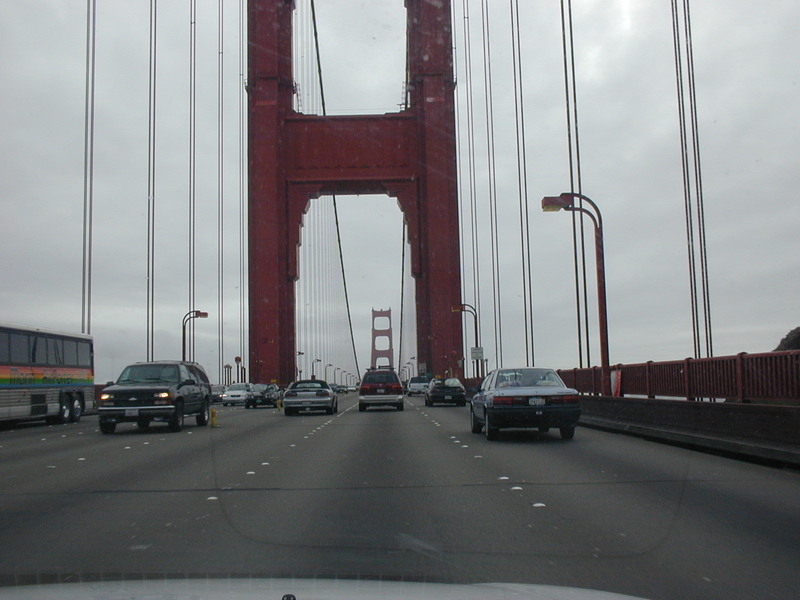 In road networks, travelers consider the existence of a trip travel time uncertainty in different choice situations (departure time, route, mode, and others). In this paper, a systematic review of the current state of research in travel time reliability, and more explicitly in the value of travel time reliability is presented. Moreover, a meta-analysis is performed in order to determine the reasons behind the discrepancy among the reliability estimates. This paper develops a positive theory of network connectivity, seeking to explain the micro-foundations of alternative network topologies as the result of self-interested actors. By building roads, landowners hope to increase their parcels’ accessibility and economic value. 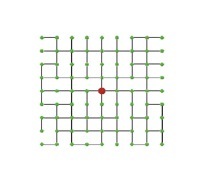 A simulation model is performed on a grid-like land use layer with a downtown in the center, whose structure resembles the early form of many Midwestern and Western (US) cities. The topological attributes for the networks are evaluated. This research posits that road networks experience an evolutionary process where a tree-like structure first emerges around the centered parcel before the network pushes outward to the periphery. In addition, road network topology undergoes clear phase changes as the economic values of parcels vary. The results demonstrate that even without a centralized authority, road networks have the property of self-organization and evolution, and, that in the absence of intervention, the tree-like or web-like nature of networks is a result of the underlying economics. 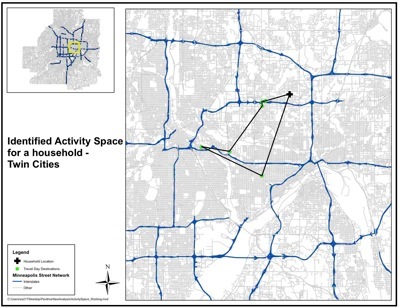 This research analyzes the influence of network structure on household spatial patterns, as measured by activity spaces. The analysis uses street network and travel survey data from the Twin Cities and South Florida to compile measures of network structure. Statistical regression models test the relationship between network structure and travel. The results show that network design does influence travel, after controlling for other non-network based measures. Results from this analysis can be used to understand how changes in network can be used to bring about desired changes in travel behavior.